Before it becomes a butterfly, a caterpillar goes through a growth stage during which it is called a “chrysalis.” On the surface it may not look like much is happening, but the delicate chrysalis process changes the fuzzy caterpillar into an awesome butterfly with wings of intricate designs and intense colors. The chrysalis process symbolizes how Christ can transform you into something beyond your dreams. It happens when you grow beyond yourself, opening your life to Jesus’ power and love. That is CHRYSALIS!! It is for teenagers seeking and finding a closer walk with Jesus. It’s a process of changing from the inside out to mirror Christ in our daily walk. It’s three days filled with lots of laughs, talk, music and so much more. Come check it out! Chrysalis is for youth who have finished 9th grade through 12th grade. These three days provide an opportunity for you to learn more about faith, and to experience Christian love and support like you have never known before. COME JOIN US! Would you like to sponsor someone for a Journey or Chrysalis Flight? It’s a great opportunity to bless a young person in a powerful way. Pray about it and see what God will do. Applications can be sent in regular mail (address is on the application) or e-mailed to Eleanor York. *** Please make sure they are complete on both sides. We Need Your Help on Chrysalis Teams! We need community participation in our Chrysalis and Journey Teams. We are having a bit of trouble finding those people who are interested in serving on a team for our youth. Would you be willing to help? We need to know if you are interested! Please CLICK HERE to fill out the volunteer form or go to the “Forms and Applications” tab. We need your help in ministering to the young people of our area. There is a place for you! Please let us know if you can give some time for this very worthy cause. Also, please be in prayer for future Chrysalis and Journey Teams. Do you know Interpretive Dance Teams that would be willing to volunteer as entertainment for Chrysalis and Journey events? We can always use new talent for the upcoming flights. Teams would need to be young men and women who have preciously attended a Chrysalis or Journey Flight. If you have a suggestion please call Marsha Dillard @ 931-787-0787. Can you help us? New banners are always appreciated and we would love to have more of them. If you are gifted in this area and would like to help with this need, please contact Gabe Colwell @ 615-812-5954 or Shaun Collins at 615-440-6324 for more details. Thanks! Remember how special you felt when you found agape on your table and bed? Wouldn’t you love to pass that on to someone else? If you want a blessing, your reunion group or class could make agape or snacks and bring it to the Chrysalis and Journey flights. 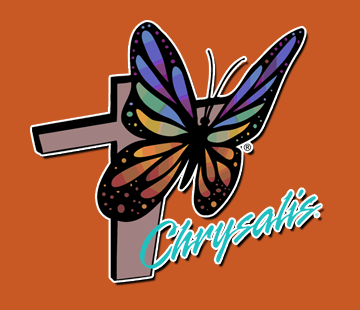 For more information about Agape for the Chrysalis and Journey events, you can contact Gabe Colwell @ 615-812-5954 or Shaun Collins at 615-440-6324.